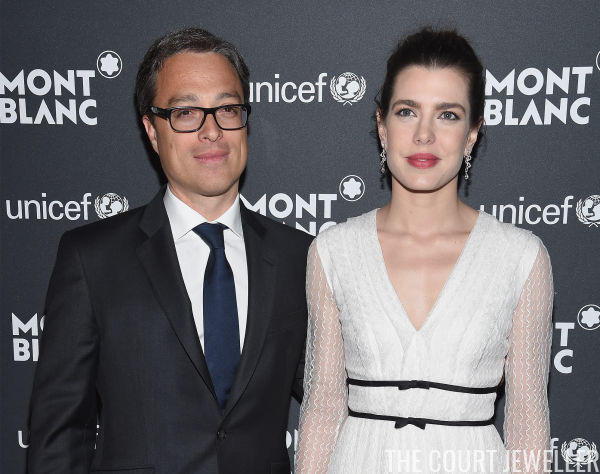 Charlotte Casiraghi was out and about in New York this week, attending the the Montblanc and UNICEF Gala Dinner at the New York Public Library on Monday. 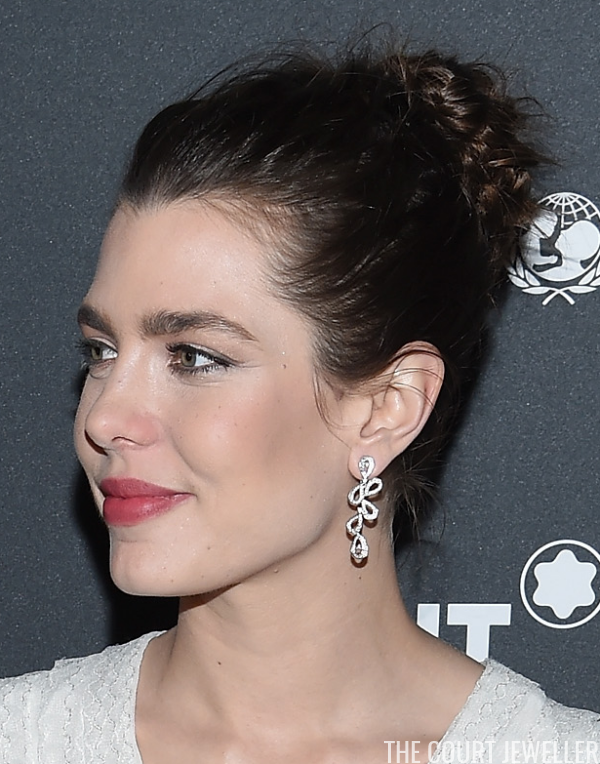 She wore a glittering pair of diamond earrings for the gala. Here's a look at her dress and other accessories. I spot a ring on her left hand, but I don't have any clearer photographs of the piece to share.